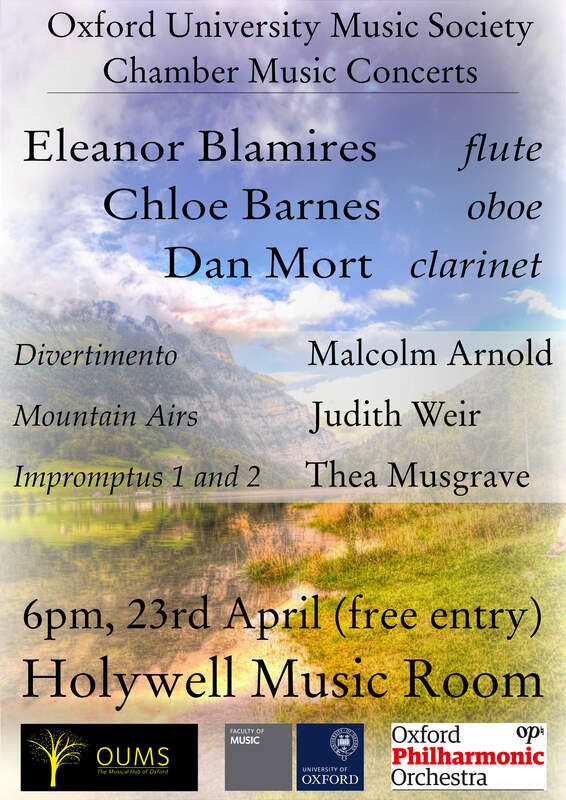 Oxford University Music Society presents the second concert in its Trinity Term 2018 chamber concert series. The concert is free and unticketed. Please note the 7:30 starting time. Oxford University Music Society presents the first concert in its Trinity Term 2018 chamber concert series. The concert is free and unticketed. Signups for Trinity Term 2018 are now open! View the Join OUMS Chamber Music page or email David at chambermusic@oums.org for more information. 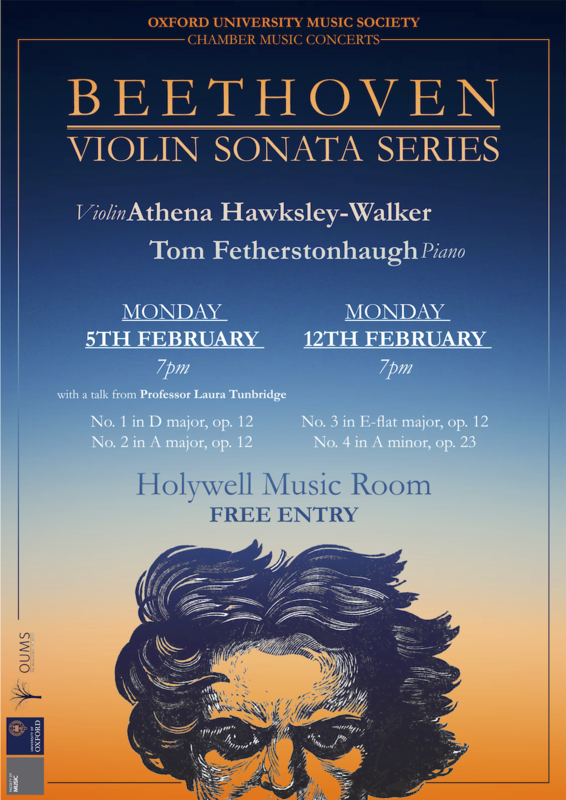 On Monday evening (5th of February) we are looking forward to the first in a series of concerts exploring Beethoven’s Violin Sonatas. 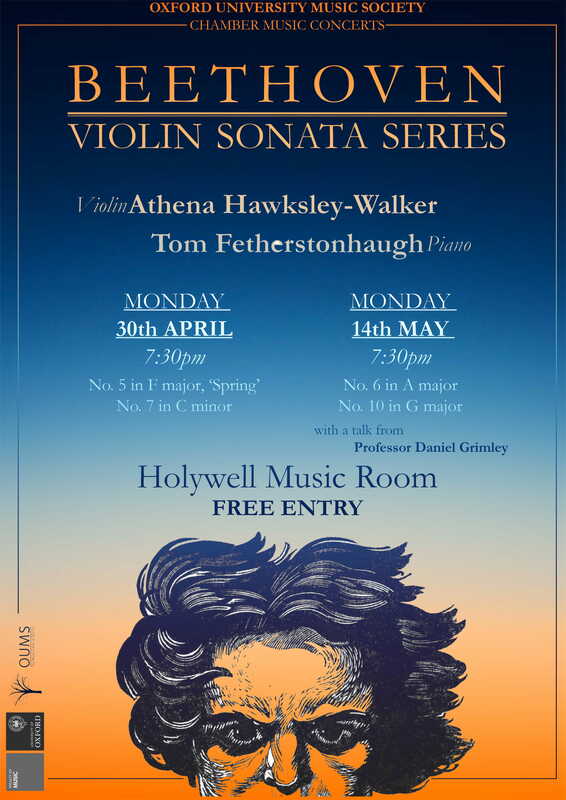 Athena Hawksley-Walker (violin) and Tom Fetherstonhaugh (piano) will perform the first two sonatas in the Holywell Music Room, D major and A major from opus 12. We are very fortunate to have Professor Laura Tunbridge, a specialist in 18th and 19th century music, joining us tomorrow night, who will be giving a short talk before the performance. This concert will be followed by another the following Monday (12th of February). Free entry. Doors will be open 6.45pm, and the talk begins at 7pm.